What are the major 2018 North America relocation trends shaping the industry? Employee relocation and workforce mobility continue to rise in importance for companies looking for growth. Technology allows employees to work anytime, anywhere, whether traveling for business, or from a remote work location. Our team of North America relocation experts have identified four key trends that are shaping 2018 North America Relocation. Many companies respond to employee expectations for relocation assignments. New assignments can provide career opportunities, learning, and growth. Some companies proactively offer incoming employees incentives to locate in other areas that best meets their needs and wants. For companies to grow and succeed, challenging and rewarding relocation assignments are necessary and provide great incentives for employees whether it be global or North America relocation. Simply Self Storage’s survey notes several moving industry statistics, with 10.8% of respondents indicating “new job/transfer” as their main reason for moving. However, other employment-related reasons for moving include “easier commute” and “other job-related reasons”. These three reasons combine to account for 18% of the reasons for moving. Companies recognize this impact on employees and respond with various programs to promote employee satisfaction and increase home-work-life balance. 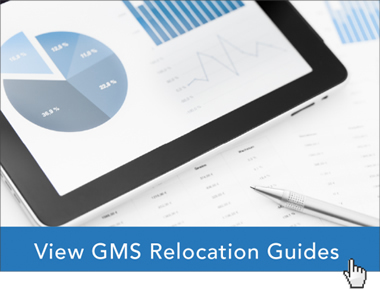 Relocation often is in response to several factors. Of the factors that are location-specific, housing costs and taxes are often cited as both the reason for employees to move away from one area and to move to another area. Companies are responding to cost pressures in their relocation programs as well. Companies understand their ability to draw talent is dependent on providing opportunities for good quality of life for employees. Companies in North America compete in a global marketplace. Greater opportunities are available, but include greater challenges in deploying talent to succeed. Mobilizing employees who know the business and understand its future drives relocation trends. Political considerations are another factor for companies looking to open a facility and in turn relocate employees to open and run the new facility. Building a company that provides career growth and professional development opportunities will allow companies to attract and retain top talent. Thoroughly reviewing your North America relocation policy and benchmarking to industry best practices is imperative. This keeps your company at the forefront of your industry peers, reinforces employee satisfaction, and promotes successful relocations. 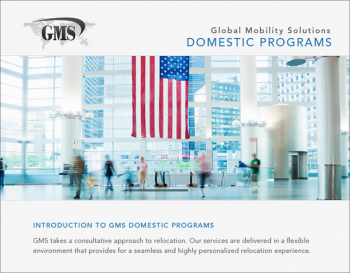 The North America relocation experts at Global Mobility Solutions (GMS) have the knowledge and expertise to help your company remain at the forefront of 2018 North America relocation trends, and offer your employees the best relocation experience. Contact our team of experts to discuss your North America relocation policy needs, or call us at 800.617.1904 or 480.922.0700 today.